It’s an intriguing tale, how Martha Buhs from Birmingham, Michigan, became Martha Henry, the first lady of Canadian theatre. She spent her girlhood years living with her grandparents. Her parents were divorced and her mother, a musician who played the piano and the accordion, worked evenings in nightclubs and hotels. Spending much time alone, young Martha learned to fantasize, especially after she discovered a couple of plays in an old trunk. She read them with astonishment, realizing that one could actually become someone else for awhile and experience all kinds of human interaction and adventure. She dreamt of being an actor and the dream stayed with her when it came time to go to university. She auditioned for Carnegie Tech in Pittsburg, which has one of the best theatre programs in the United States. She was accepted. Home from her first year at university she had a fortuitous encounter with Errol Fortin, a Detroit producer. He was about to start a summer stock theatre across the border in Leamington, Ontario, and was hiring actors. It wasn’t that easy. Detroit had a world-famous symphony orchestra and a marvellous art gallery but no theatre and therefore few actors. Those wanting to take part in musicals or operettas had to cross the border to Windsor, which had not one but two light opera companies. Fortin had managed to sign three or four people from Detroit, including an ex-marine named George Scott, who had a degree in English and theatre from the University of Missouri. Eventually several amateurs from little theatre in Windsor would be added. He asked Martha to be the resident ingenue and she said yes, of course. The Sun Parlour Playhouse surprised people. The company turned out to be exception-ally talented and Martha fitted in perfectly. She was still a teenager but mature far beyond her years. She had a warm, gentle manner and a marvellous speaking voice and there was an air of mystery about her, which never hurt any actor. She appeared in a string of plays that had long been summer theatre fare, everything from Bus Stop to Sabrina Fair. Most of them came back for a second season, which was just as successful as the first. Then they scattered. Scott, the ex-marine had played the lead in most of the plays and directed others. He headed for New York where he would become famous as George C. Scott. Three of the amateurs from Windsor turned professional and went off in different directions, Matt Zimmerman to London, England, Sean McCann to Toronto, Cliff Pellow to Hollywood. All would have long and successful careers. Everyone expected Martha would also make New York her destination. That changed when she and her mother paid a visit to the Stratford Shakespearean Festival, to see Christopher Plummer in Hamlet. When the play was over and the house lights came on Martha was speechless, she literally couldn’t talk. It wasn’t just Plummer’s breathtaking performance, it was the stage, that magnificent stage. She was in love with it. That experience changed her mind about how to best pursue her career and she journeyed to Toronto where she auditioned for Murray Davis, who headed a successful repertory company at the Crest Theatre. He was impressed and asked her to join the company and Martha made the fateful move to Canada. Toronto is not New York. The stars don’t shine as brightly in Toronto. For Martha, however, everything starts and stops with the part she’s playing or the play she’s directing. Stardom is a sweet and pleasant bonus but never a goal in itself. So, while the ingenues on Broadway lined up to audition for secondary roles in untried plays, Martha was playing leading roles in such classics as Macbeth, The Seagull, The Matchmaker, Our Father’s House, The Schoolmistress, You Can’t Take It With You and Under Milkwood. And when she wasn’t on stage she was on the CBC, on network television, play-ing more leading roles. It was a magnificent beginning to a hugely promising career. Then she did something that was shocking but so like her — she decided to go back to school. Fellow actor Powys Thomas was deeply involved in the founding of a theatre school in Montreal and when Martha told him she wished such a school had existed when she was choosing where to study, he gently suggested she apply. She had already graduated from an excellent theatre school but she convinced herself that she needed to learn more profound ways of releasing her creativity, ways she was convinced the gifted stage veterans recruited by the school could teach her. And so in 1960, armed with a scholarship from the Canada Council, she became a student of Canada’s National Theatre School. She excelled in Montreal and set a mark for other students to aim for, as her teachers had no doubt hoped she would. She got married, to fellow student Donnelly Rhodes, and took his family name as a stage name — the name Buhs had been problematical, for while it is pronounced “bus” there were those who attempted to engage the silent “h” and it came out sounding something like “booze”. Half way through the three-year course she got an offer from the Stratford Festival. Because of her loyalty to the school she was actually ready to turn it down but Powys Thomas insisted she take it and the school honoured her with a graduation diploma, giving her the distinction of being the first to graduate from what is now one of the most esteemed schools of its kind in the world. She made the heady journey back to Stratford, not to sit in the audience this time as Martha Buhs and watch Christopher Plummer perform but to appear on stage with him as Martha Henry in the role of Lady Mcduff in Macbeth. She also appeared as Miranda in The Tempest opposite the revered William Hutt, as well as in Cyrano de Bergerac. The reviews were glowing: “It is no cliche to say that in her a star was born last night,” wrote one critic. They glowed even more the next season when another critic declared: “Miss Henry has established herself as the leading English-Canadian actress.” It was everything she could have wished for, and it was just the beginning. Fifty-four years later, in 2016, she can look back on having graced her beloved Stratford stage about as long as anyone has. She has had lead roles in close to 70 plays and directed 11 more, soon to be 12 with the production of Arthur Miller’s All My Sons for the Festival’s 2016 season. It’s a record of achievement and dedication that is surely beyond anything the girl from Birmingham, Michigan, ever dreamed possible. And there’s more, so much more. From the very first she was ready and willing to live and work anywhere in Canada where good people were producing good theatre: The Neptune Theatre in Halifax, The Centaur in Montreal, The National Arts Centre in Ottawa, The Grand in London, The River Run Centre in Guelph, The Aquarius in Hamilton, Tarragon and Centre Stage Theatres in Toronto. The Shaw Festival at Niagara on the Lake, The Royal Manitoba Theatre in Winnipeg, The Globe Theatre in Regina, Theatre Calgary and the Citadel in Edmonton. In some of those cities she directed as well as starred in productions. Her first opportunity to direct at Stratford was John Aubrey’s Brief Lives, starring Douglas Rain, who became her second husband and the father of her daughter, Emma. In 1980 Robin Phillips, artistic director of the Stratford Festival, was looking for a way to lessen his punishing work load and he devised a plan which included a four-person directorate. Martha was to be one of the four. Not wanting to lose Phillips, who had been so successful, the board of directors appeared to go along with his plan while meeting in secret to find ways to stop it. When Phillips found about this he resigned. The board then quietly hired John Dexter to be the new artistic director — without telling the four associates. Innocently, Martha phoned Christopher Plummer to ask who he wanted to direct the play he was scheduled to star in the 1981 season and he said that John Dexter, the new artistic director, had already spoken to him. She went immediately to the executive to ask what was going on. The answer came a week later when she and the three others were told they were fired. Not surprisingly, she turned her back on the festival and didn’t step on that stage for an-other fourteen years. She became artistic director of the Grand Theatre in nearby London, where for six years she showed just how broad her talent was by proving to be a masterful director. It wasn’t until Richard Monette, who had been one of the loudest critics of the board of directors, became artistic director of the festival that she felt she could return with dignity. He asked her to play the lead in Eugene O’Neill’s Long Day’s Journey Into Night. Another close friend and collaborator was the late Timothy Findley. He was the author of a powerful novel, The Wars, which was made into a movie directed by Robin Phillips. Martha starred in the film and received a Best Actress Genie for her performance. When Tiff, as he was known, wrote the play, Elizabeth Rex, it was Martha who directed it for the stage at the Tom Patterson Theatre. Critics couldn’t seem to find enough adjectives to praise it. There have been other movies, among them Dancing in the Dark, Clean, H2O, The Republic of Love, Mustard Bath. And there have been numerous TV dramas and TV movies. In the 1970s she was narrator of the prime-time CTV documentary series, The Human Journey. Some believe it was the first documentary ever narrated by a woman. In time CBC produced a documentary not starring her but about her: The Life and Times of Martha Henry. However, it is the theatre, always the theatre, that has been her first love. At age 74, appearing as Violet Weston in the Pulitizer-prize-winning play August: Osage County at the Royal Manitoba Theatre Centre, she continued to command the stage as few others can. Globe and Mail critic, J. Kelly Nestruck, described how “…her voice becomes deep and resonant, almost incantatory — and can make your neck hairs stand on end.” Violet Weston is an aging woman of poisonous disposition who has cancer and is addicted to the prescription drugs Vicodin and Xanax. To prepare for the role Martha had a fellow cast member crudely chop off her hair to give her the appearance of some-one who had undergone chemotherapy. She also looked up the side effects of the drugs her character had been taking and incorporated them into her characterization. She sees nothing unusual in this: it’s what actors do. Canada — and the United States — have shown their appreciation by making her one of the most honoured artists of her time. 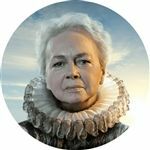 She’s a Companion of the Order of Canada, a member of the Order of Ontario, the recipient of five Genie Awards, Two Betty Mitchell Awards, the Toronto Drama Bench Award for Outstanding Contributions to Canadian Theatre and the New York Theatre Award. She’s a Lifetime Member of Actors Equity. She has honorary degrees from seven Canadian and American universities. She’s a recipient of the Governor General’s Award for Lifetime Achievement and the Stratford Legacy Award, which has been given only to Christopher Plummer, Maggie Smith and William Shatner before her. In 2007 Stratford made her director of the Birmingham Conservatory for Classical Theatre. She wasn’t certain she was equipped to be a teacher but she never said no to a challenge. For almost ten years she has taught some of Canada’s finest young actors the skills necessary to be classical actors, and the tricks and secrets of the Stratford stage. In 2016, having just turned 78, she has said no to another five year contract. She will devote all her time and her talent from now on to directing, with All My Sons at Stratford and August Strinberg’s The Dance of Death at the Shaw Festival filling her calendar for the summer of 2016, making her for the second time the only person to direct shows at both the Stratford Festival and the Shaw Festival in the same season.